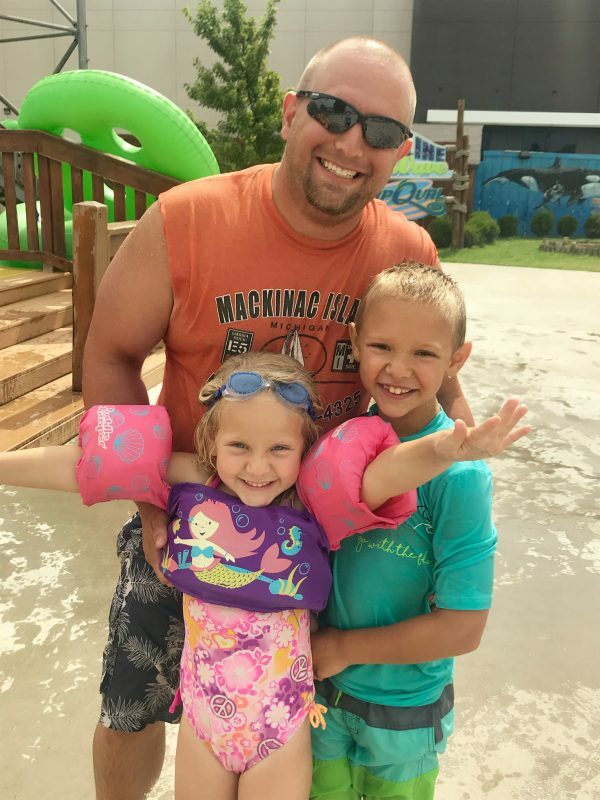 Get ready for family fun at White Water Bay! 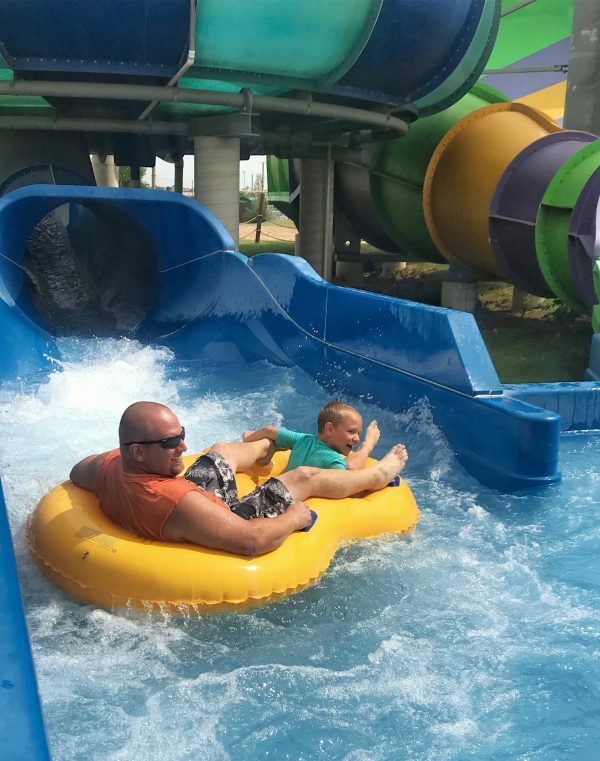 First things first, be sure you know what to expect at White Water Bay! We did receive complimentary tickets to try out White Water Bay & Frontier City, all thoughts and opinions are my own. 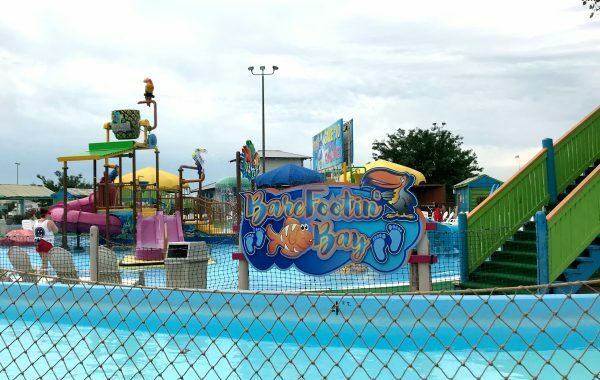 If you are looking for some family fun, then a great spot to visit this summer is Oklahoma City, especially for those in the area. Oklahoma City is just about two hours from our home and it’s a great way to have a getaway on a budget too. 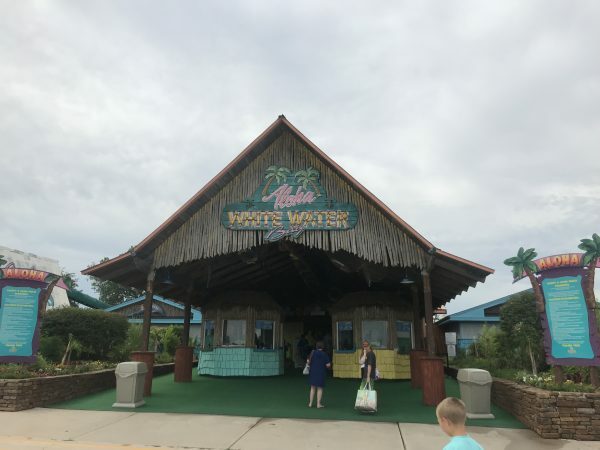 This past weekend we decided to head to White Water Bay and Frontier City, they are both within a short distance of each other in the Oklahoma City area. Over the years, we have visited Frontier City many times. We knew exactly what to expect there from great rides to good shows, plus they have concerts all summer long too. When we decided to go to White Water Bay that was an entirely new experience for our family. Oddly enough as we arrived, my husband and I realized that our kids had never actually been to a water park. How had this happened? We have taken them so many places and go to the pool and lake frequently, but we had not ventured out yet to a large water park. It would be an understatement to say that they were in heaven, they didn’t know what to think or what to do first! 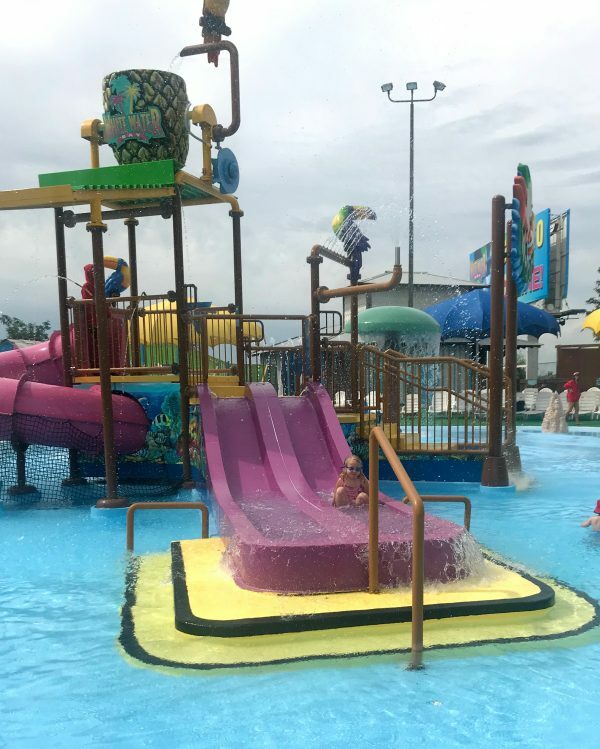 Not only do they have a wonderful wave pool, but it’s likely you could spend ALL day long on the slides! Our daughter loved Barefootin’ Bay, which is the kiddie pool. Honestly, this would be a great spot just to hang out all day, all summer long if you have little ones. There is so much to do in this pool and it’s not more than a foot or so high so really it’s perfect for them. We also floated our way around Castaway Creek many times, both of our kids loved this. It’s essentially a lazy river. It really pushes you too. Of course the wave pool was a huge hit but so were the slides. My husband and son did just about every slide they had there. My son was obsessed with them, he would go again and again. We even found some that all of us could do with the Pirate’s Plunge. My daughter was ready to go on it and when we got up there she decided she was too scared and basically went hysterical. I wish I knew the lifeguards name, it was a young boy, but he was absolutely AMAZING with her! He helped her calm her fears and off she went. I wasn’t even off my tube yet and she was yelling, “Let’s go again, mama”. It wasn’t but a few seconds and we were heading back again and she wanted to go over and over again. Eventually we all joined in and we were going up and down those slides. She quickly realized it was more fun than scary. What to Expect at White Water Bay? Bring limited personal belongings if you want to avoid locker usage. The lockers were $12 for the day. If you have food allergies, it’s best to bring your own cooler, but you do need to check in with the guest relations to store it. We did find it would have been better to bring a cooler, the food was quite pricey for our family; however, you did get a large portion size. It’s a good idea to bring your own raft if you want to avoid renting one for the lazy river. Each of these things can also be taken into account for Frontier City as well, it is very similar in setup; however, you’ll get more amusement rides. They also have a great water area at Frontier City as well. It’s a huge splash pad area with tons of slides for all ages. Our kids can spend hours there as can we! 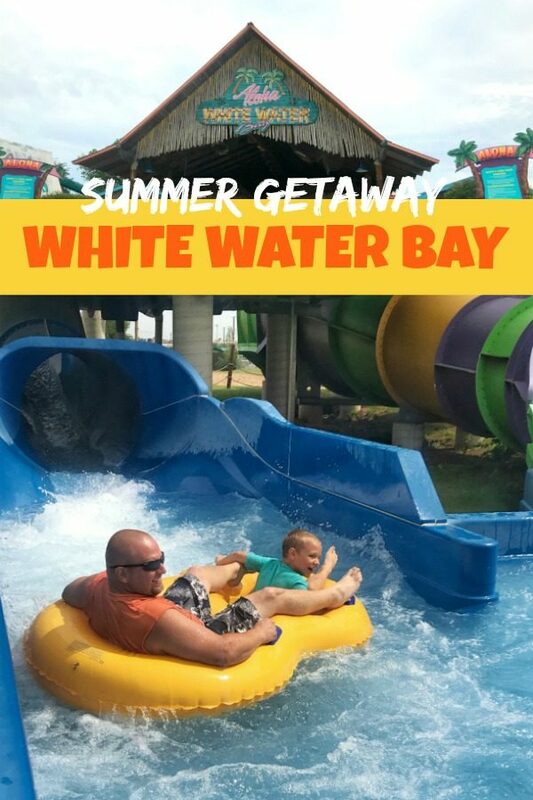 To learn more head on over to White Water Bay or Frontier City to plan your trip! Learn more about different getaways in my Travel section.